People, process and technology trends that may impact your contact center in the next three years. 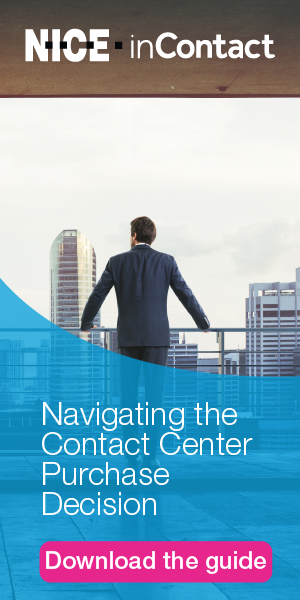 Top-tier contact centers prepare for the future. It is one of the key ingredients to their performance success. They will be the first to tell you that they are not always right, and can point to many instances where the future brought a surprise or two. But by considering all of the possibilities, they are rarely caught off guard—even when they are wrong. With the end of the decade now in sight, we thought this would be a good time to look ahead and identify three key trends related to people, process and technology that may impact our centers by 2020. When I ask contact center leaders about things that keep them up at night, a common concern is the ability to find staff that will succeed in the role of an agent. Many leaders indicate that today’s applicants are less enthused by the thought of serving customers than yesterday’s agent pool, and it shows in a lack of dependability, lower productivity and higher turnover. I applaud all the efforts to make the agent job more interesting and more engaging. These are important initiatives and should continue, but I believe it will become increasingly apparent in the next three years that for many companies (especially those not willing to pay the higher wages brought about by a shrinking workforce) it will not be enough. The time has come to start accepting the new reality rather than fighting it. So what do you do when there are not enough round pegs to fit your round holes? You make some of your holes square, and go find some square pegs. If you haven’t noticed, one of the biggest movements in the past 5 to 10 years has been the emergence of the “side hustle.” It isn’t just Uber, and it isn’t just for millennials. It’s a significant source of staffing, and outside of a few forward-thinking outsourcers, contact centers have not tapped into it. Yet the opportunity for someone to work from home for a few hours a week at something requiring no advanced skill set is a perfect fit for a side hustle. Yes, there are obstacles. People need the right equipment at home and, in most cases, access to company systems. They need training, and they need to meet a minimum quality standard. Companies need a whole new way to work this staff into compensation, call routing and workforce management planning. But are these obstacles any greater than the ones Uber faced? Or Care.com ? These organizations have taught us that people are willing to take on some short-shift side work if we make it relatively easy to get started. Every industry is a bit different, but as the sidebar points out, most have some portion of contact center workload that can be handled this way. Here are a few facts about contact centers over the last 10 to 20 years. Handle times have increased. Initial training periods for new agents has increased. Specialization (in the form of an increased number of queues) has increased. There are multiple reasons for each of these trends, but there is one key reason that cuts across all of them: the proliferation of knowledge required to effectively handle a contact. Managing that knowledge will be the most critical process in contact centers over the next three years. A knowledge management system is a key enabler, but there is far more to managing knowledge than a system. Organizations need to assemble greater amounts of information than in the past, and they need to deliver it to many different groups (agents, customers, third parties, etc.). The process of collecting it, organizing it, delivering it and improving it is the only way that contact centers will be able to streamline training programs and manage handle times. It is also a critical component to building effective self-service systems—an activity that enhances both customer satisfaction and expense management. It’s one of the few processes left in contact centers that is nowhere near mature, and the significant upside is too tempting to resist. By 2020, I expect the process of managing knowledge to look far different than it does today. Knowledge specialists will be commonplace, and objectives will be in place to measure the payback on this activity. If we get to shorter training times and lower handle times by 2020, better knowledge management will have played a key role. There is a lot going on out there in the world of contact center technology—so much so that it is difficult to focus on one trend that will dominate the next three years. Speech analytics will continue to make progress, and video will make inroads in certain industries. Omnichannel efforts will continue to increase. But when looking at overall impact to contact centers, the continued migration of phone systems to the cloud is hard to ignore. Some contact centers are already there. If you haven’t yet made the move, odds are you will, and it may well happen in the next three years. In some ways, the impact is a small one. The feature set for cloud-based systems, for example, is really no different than for premise-based or hosted systems. And from the agent perspective, it is hard to tell any difference. In other ways, the impact is substantial. The financial move from capex to opex is significant. The impact on upgrades, maintenance and disaster recovery is also important. The most substantial impact, though, may be the integration with other systems (CRM, WFM, QM, etc.). Moving to the cloud drives organizations away from having large technical support teams, and in so doing they are more apt to simply go with the suite of systems offered by the cloud phone provider. That will drive an even larger degree of technology mergers, leaving an environment where there are just a few key players in the field. It is a shake-out that won’t be complete by 2020, but it should be well on its way. Predicting the future is a tough business, and no one (including this author) has a crystal ball. The three trends cited above are worth analyzing and at least considering. More importantly, though, is simply having a strong process for staying ahead of the future. Take the time to gather your stakeholders and at least get a discussion going about 2020—it will be here sooner than you think. Sales contact centers: Upfront triage to qualify a lead before sending it to a much more expensive closer. Health insurance: Handle provider calls, leaving the full-time staff to focus on members. Utilities: Outage coverage, stop service calls. Tech support: Basic tier one to complete the simple problems and triage for tiers two and three. Any contact center: Text chat, one-time promotional calls, busy period overflow (even if only to take messages). Yes, there is still a lot to do to put this type of program in place. But when the option is to continue to pay more for staff that is less productive, less dependable and more likely to leave within the first year, is there really an option?